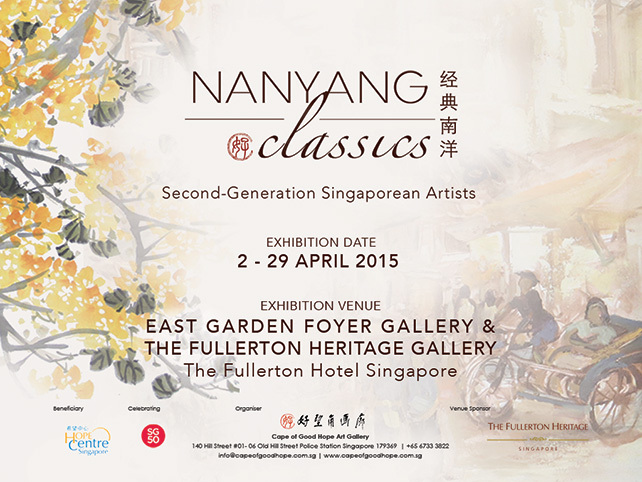 Nanyang Classics: Second-Generation Singaporean Artists is Cape of Good Hope Art Gallery’s first exhibition of 2015. In celebration of SG50, the gallery is honoured to spotlight 9 notable local artists who have maintained and developed the arts and culture in Singapore. Their works will be exhibited at the iconic heritage building of The Fullerton Hotel Singapore, an ideal setting to set off the regional style found in the artists’ works. The efforts of these Singapore artists in preserving a national style, advancing and broadening the regional art deserve to be recognised.